Over the past year, there’s been a lot of talk in the wellness space about how amazing coconut oil is for you… followed by a lot of concerns regarding the saturated fat-related health risks it presents. On the plus side, virgin coconut oil is full of MCTs, or medium-chain triglycerides. Due to the specific way in which the body digests these kinds of medium-chain fatty acids, they’re especially helpful for people who have weight loss goals on their plate or want to give their endurance workouts an energy boost. But then, according to the naysayers (some of whom are part of the American Heart Association), the high saturated fat content of coconut oil is a major problem. 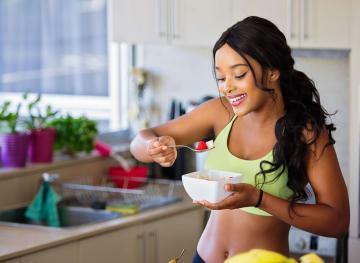 Despite the previously discussed health benefits, large amounts of it in the long term can predispose people to health issues like heart disease, high “bad” cholesterol levels, heart attacks, type 2 diabetes, high blood pressure and more. So if you fell in love with this ingredient but are worried your body isn’t benefitting as much as you initially thought it was from this dietary swap, we have some good news for you. 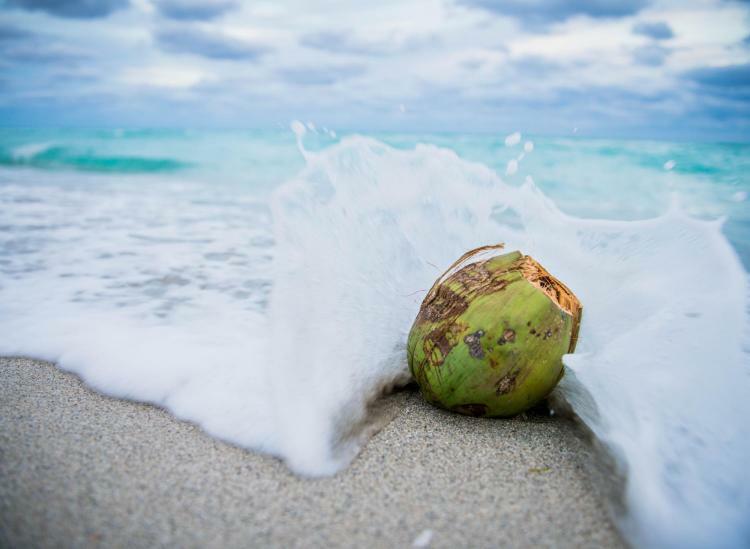 Here are three innovative coconut products that will give you all of the nutritional boosts you want without the major health concerns. This raw, extra-virgin, cold-pressed coconut and avocado oil puts two of our all-time favorite things together under one lid. Solid at room temperature and in the refrigerator, Covaco blends together high-quality coconut oil with high-quality avocado oil so you can enjoy more healthy, monounsaturated fats while reducing those risky saturated fats. This oil combination also maintains that high smoke point that coconut oil fans have come to know and love in the kitchen, not to mention there is a variety of fun flavors to choose from. (We’re partial to the chili and lime blend.) Sorry, olive oil. Looks like you won’t be needed on a daily basis anymore. If you love all the health benefits of the coconut but hate your fear of adding too much fat to your diet, then it’s time to swap out your typical protein powder for this coconut-derived option from Carrington Farms. The organic blend is a seamless addition to any smoothie when it comes to both texture and flavor, and the amount of protein you get per serving is pretty surprising for the tropical fruit. (Hello, 20 grams!) It’s also a great option for all the vegetarians and vegans out there who want to make sure they’re sticking to plant-based proteins. So simple, yet so effective. Trader Joe’s does it again in the snack department with these organic, unsweetened coconut chips. Perfectly natural and crispy, these little guys can be eaten on their own as a refreshing afternoon snack or thrown on top of a smoothie bowl or fresh batch of oatmeal if you want all the tropical vibes in your breakfast. (Not to mention, they won’t come close to breaking that grocery store budget of yours.) The coconut is the only ingredient on this product label, and we like it that way.